Historian Ben Cleary takes readers beyond the legend of Stonewall Jackson and directly onto the Civil War battlefields on which he fought, and where a country once again finds itself at a crossroads. Thomas Jonathan "Stonewall" Jackson was the embodiment of Southern contradictions. He was a slave owner who fought and died, at least in part, to perpetuate slavery, yet he founded an African-American Sunday School and personally taught classes for almost a decade. For all his sternness and rigidity, Jackson was a deeply thoughtful and incredibly intelligent man. But his reputation and mythic status, then and now, was due to more than combat success. In a deeply religious age, he was revered for a piety that was far beyond the norm. How did one man meld his religion with the institution of slavery? How did he reconcile it with the business of killing, at which he so excelled? In SEARCHING FOR STONEWALL JACKSON, historian Ben Cleary examines not only Jackson's life, but his own, contemplating what it means to be a white Southerner in the 21st century. 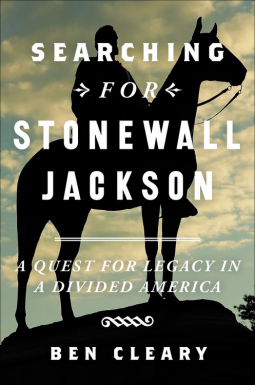 Now, as statues commemorating the Civil War are toppled and Confederate flags come down, Cleary walks the famous battlefields, following in the footsteps of his subject as he questions the legacy of Stonewall Jackson and the South's Lost Cause at a time when the contentions of politics, civil rights, and social justice are at a fever pitch. Combining nuanced, authoritative research with deeply personal stories of life in the modern American South, SEARCHING FOR STONEWALL JACKSON is a thrilling, vivid portrait of a soldier, a war, and a country still contending with its past.